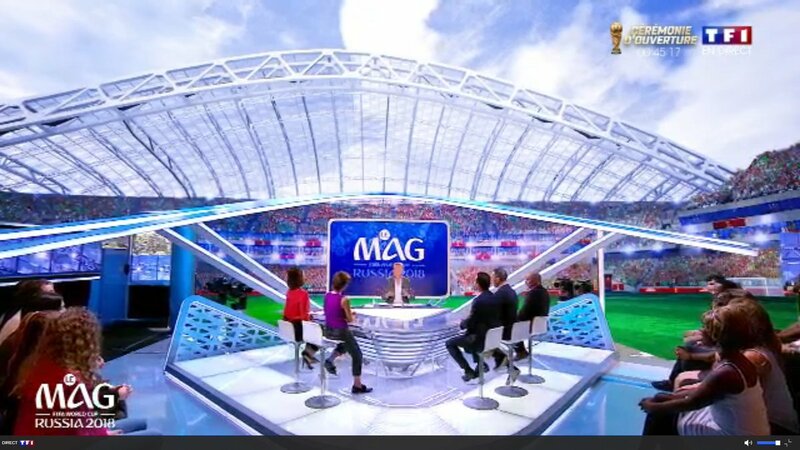 French broadcaster TF1 is utilizing a hybrid set for its 2018 FIFA World Cup coverage, taking viewers inside the Sochi soccer stadium while broadcasting from afar. 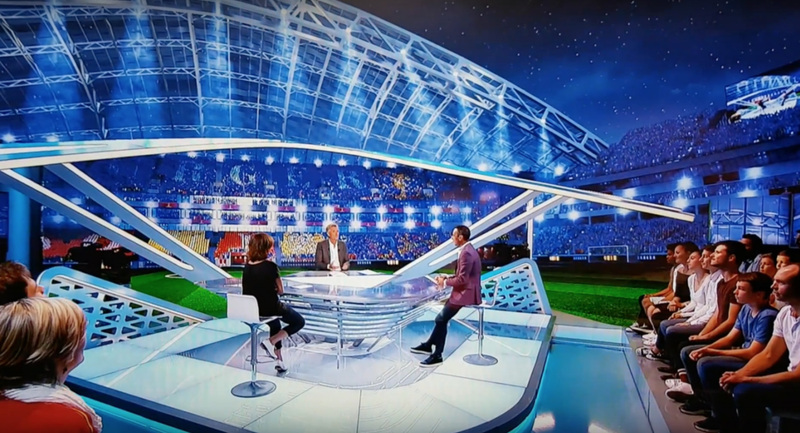 With set design from Olivier Illouz’s Studios 40 and virtual design by Dreamwall, the overall on-air effect surrounds host Denis Brogniart with 30,000 cheering soccer fans alongside a live studio audience. TF1’s coverage is coming from Paris, France, with the network producing match debriefs and wraparound programming from the set. Dreamwall notes that two real-time engines are used for the set extension to allow for proper tracking and depth, so that the virtual elements match a crane camera’s movements. 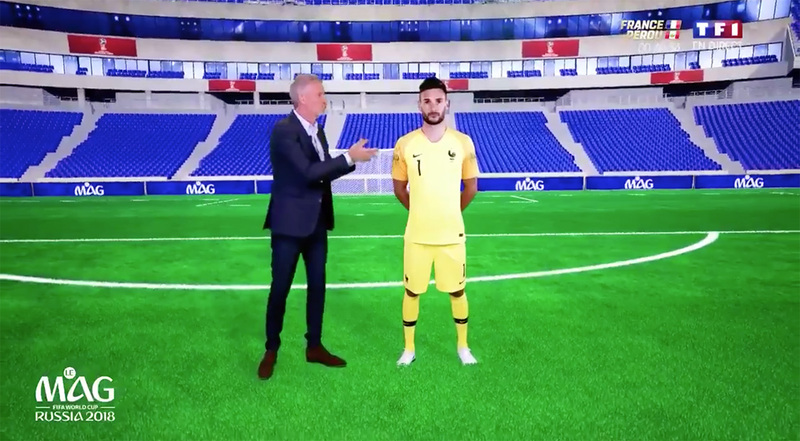 Along with the stadium portion, virtual sequences recreate the French football team’s accommodations in Russia, allowing Brogniart to virtually visit them. Example scenes include the team’s mess hall, locker room and player Antoine Griezmann’s bedroom. The presenters can also teleport to the pitch to interact with virtual players. The virtual graphics and augmented reality are powered by Reality from Zero Density using the Unreal Engine.